Davidson County Juvenile Court Judge Sheila Calloway will receive a 2019 Women of Distinction award later this month during American Baptist College’s Nannie Helen Burroughs Luncheon. The luncheon is one of the highlights of the historic college’s annual Garnett-Nabrit Lecture Series, now in its 62nd year. Judge Calloway was appointed Davidson County Juvenile Court judge in 2014, after having served as a magistrate on that court since 2004. Before that, she worked in the Metro Public Defender’s Office in both the adult and juvenile systems. Judge Calloway is a 1994 graduate of Vanderbilt University Law School, where she currently serves as an adjunct professor. 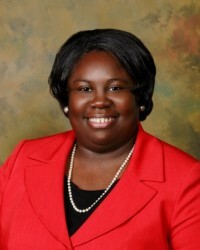 In addition to her roles as judge and professor, Judge Calloway is active in a number of organizations and associations. For instance, she is currently a member of the Napier-Looby Bar Association, the Nashville Bar Association, and the Disproportionate Minority Local Task Force, and she sits on the boards of the Cal Turner Foundation, The Pencil Foundation, and the Homework Hotline. She is also a member of the Advisory Council for Tennessee Voices for Victims. She previously served on the board of the Nashville Prevention Network and on the MNPS Academies Partnership Council. Judge Calloway is the winner of numerous awards, including the 2018 Tennessee Justice Center Hall of Fame Award by the Tennessee Justice Center, the 2017 YMCA Women of Achievement Award for Nashville and Middle Tennessee, the 2017 Nelson C. Andrews Distinguished Service Award, the 2017 Human Relations Award by Community Nashville, the 2016 Community Award by Alignment Nashville, and the 2014 Justice A. A. Birch Outstanding Service Award by the Napier-Looby Bar Foundation in Nashville. “The annual Nannie Helen Burroughs Luncheon celebrates the historical influence of Ms. Burroughs, one of the nation’s most prolific educators, orators, civil rights advocates, and women’s rights activists. Born in 1879, Burroughs established the National Training School for Women and Girls in Washington, D.C., and continued her pivotal work there until her death in 1961. Information about tickets and other honorees can be found on The Tennessee Tribune site.